Dr. Sharisse Stephenson always appreciates feedback from her valued patients. To date, we’re thrilled to have collected 6 reviews with an average rating of 4.83 out of 5 stars. 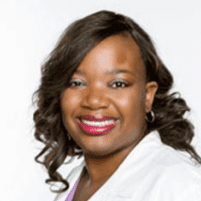 Please read what others are saying about Dr. Sharisse Stephenson below, and as always, we would love to collect your feedback. You and your people were very perfesional.thank you so much. Checking in process is so easy and doctor gives you her full attention.